← Was That Weekend Spectacular or What? 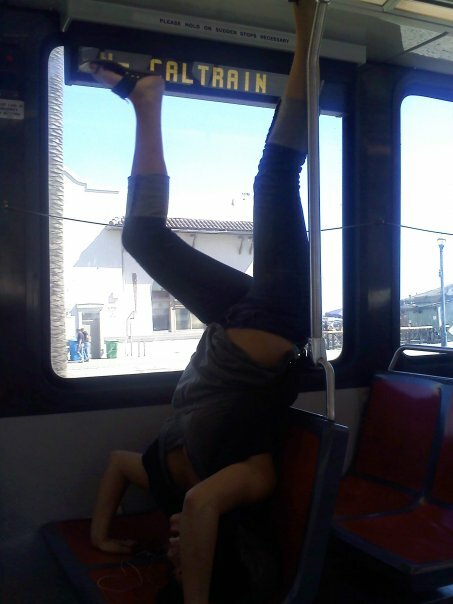 N Judah rider Sara is a student at SF State University, and when she’s not performing acrobatics on the N, can be found online at http://www.sarapantera.blogspot.co. I checked the sarapantera blog and found that the photos there show that she’s (to borrow an expression from Jimi Hendrix and Kermit the Frog), a “foxy lady”, in other words, I’m glad I looked. I did have misgivings about her acrobatics on the “N” car, but it appears to be at the Ocean Beach terminal and not going anywhere for a few minutes.